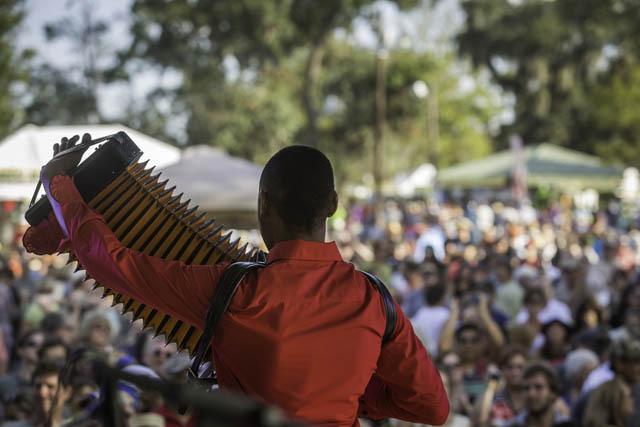 Lafayette is at the heart of Louisiana’s Cajun & Creole Country, an area known as the Happiest City in America by the Wall Street Journal’s MarketWatch.com and it’s no mystery why. Their distinctive blend of food, music and culture has people from all over heading down south with a smile on their face. For a taste of genuine history, visit Vermilionville, a historic and folklife village that demonstrates Acadian, Creole and Native American history form the time period 1765 – 1890. The park sits on a 23-acre site on the banks of the Bayou Vermilion with 19 attractions, including seven restored original homes with more than 13 local artisans that provide demonstrations on a variety of essential crafts performed by the early settlers. Inside or outside this historical village, it’s always easy to find locals who can switch effortlessly into French when the need arises. No matter what time of year you visit Lafayette they will have something for you to celebrate. That’s in large part because the region is teeming with celebratory events year round, from the largest outdoor francophone festival in the world, Festival International, to the fall’s Festival Acadiens et Creoles and of course Mardi Gras. Lafayette truly comes alive in the fall and spring with remarkable weather to compliment the multitude of events and festivals. One thing unique to Lafayette is the free concert series that take place in the fall and spring. Kick off your weekend early on Thursday with Rhythms on the River, a free evening concert held in River Ranch’s Town Square. Bach Lunch, a free popular lunchtime music series that takes place on Fridays in Downtown Lafayette, couples local food with music for all ages. The fun continues into the evening with Downtown Alive!, another local favorite concert series offering free music from regional artists of all genres. Lafayette has the Cajun & Creole flavors you crave, along with the freshest in Louisiana seafood, and always a little something unexpected. Homegrown chefs are putting an inventive spin on time-honored recipes with the freshest local ingredients. But don’t take their word for it. Lafayette has received many awards for their cuisine including being named the Tastiest Town of the South by Southern Living magazine, Best Food Town by Rand McNally and a Top 10 Foodie City by Livability.com. One staple to the area’s unique cuisine is the smoked pork and rice delicacy known as boudin. While the ingredients are basic, the variations of how to cook boudin are endless, which is why you need to take a trip down the Boudin Trail. Stretching across the metro area there are a dozen restaurants cooking boudin every which way you can imagine, and some you can’t. If paddling is your passion Lafayette is the perfect starting point to explore their rivers, swamps and bayous. The newest addition to Lafayette’s paddle trail is the creation of a four day, three night paddle trip that takes you through two parishes and multiple cities along the way where both primitive camping and lodging is available.